Ian Watterson is the Managing Director of CSG International, Asia Pacific. He taps his 18 years of experience in technology and telecommunications management to lead CSG’s growth and strategy efforts across the Asia-Pacific region. During his tenure, he has grown CSG’s brand presence and client base In Australia, China, Hong Kong, India, Indonesia, New Zealand, the Philippines, and Singapore. 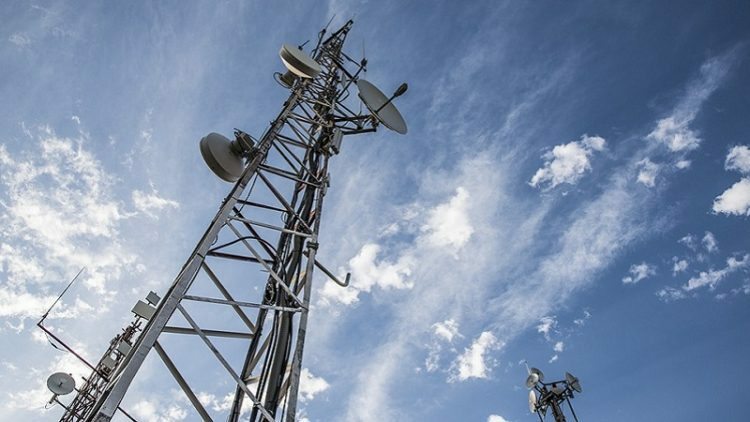 The telecommunications landscape is set to see a drastic transformation this year as the industry continues to transform its business models and services to better serve the digital consumer. In Singapore, we will see the entry of the nation’s fourth telco, TPG. Companies like TPG represent the future of telecommunications in Singapore – in line with service providers looking to transform their business models to better serve digital consumers – while managing traditional networks and systems. With TPG being the first digital-only operator, such service providers will provide consumers with greater price competitiveness and customer experience over its competitors. Digital services to consumers on-the-go are reaching an all-time high, and the entry of TPG is certainly timely. 2017 may just be the year when we see such “B2B2X” business models – digital services delivered to any number of end-users, including enterprise, retail, partner, suppliers or end consumers – contribute significantly to a service provider’s revenues. The Internet of Things (IoT) landscape has introduced a whole new level of connectivity to the industry – from sensors knowing when you’re out of laundry detergent, to new advances in healthcare. The IoT-driven customer experience will become more sophisticated, and continue to spur innovations across all industry verticals in 2017. IoT-powered evolution will better position service providers to drive profits from selling network and data services in a “B2B2X” model. Singtel, as a case in point, is embracing 5G in the context of the IoT. The service provider has started investing in sectors such as data, digitization and cyber security. In particular, DataSpark is a new initiative to explore data and location analytics for businesses and governments alike. On the other hand, while IoT is relatively in its early stages in Indonesia, telecommunication providers such as Telkom has announced plans to invest in it to develop the potential it has to offer. The telco has signed a memorandum of understanding (MoU) to collaborate on new business developments including IoT and smart products, with SK Telecom of South Korea. Not only that, PT PINS Indonesia, a subsidiary of Telkom, recently unveiled plans for a new virtual marketplace for IoT services in the country. To actually monetize the IoT requires service providers to operate on an open, interoperable, and virtualized digital services platform. Ecosystems of partners will be needed to deliver digital services, also making the ability to manage and settle revenues with myriad partners a critical component of a service provider’s infrastructure. We are now past the era of multi-device, and are moving into an era of “multi-connected devices”, making a service provider’s ability to move data to both businesses and consumers more important than ever. Streaming live, premium content enables consumers to access content and information in real-time on their device of preference. In 2017, social networks and streaming services will look to usher in the next generation experience that puts viewers closer to the action – or even in the action by leveraging virtual reality. In Malaysia, Astro has continuously dominated the pay-TV market with 68% TV household penetration. In the next few years, Astro will continue to face fierce competition from competitors such as Internet-TV service iflix, Telekom Malaysia and Netflix, pressurizing it to up its game within the content space. This January, Astro inked a five-year agreement with the Badminton Association of Malaysia (BAM) to broadcast live events such as Masters Grand Prix Gold, National Championships, and Malaysia Open Super Series on Astro TV and Astro on the Go. In order to win over more millennials, the operator also partnered with PGL to organize Malaysia’s inaugural eSports championship, Counter Strike: Global Offensive (CS:GO) Minor Championship Asia in October 2016. Aired on OTT platforms worldwide, the competition attracted over 1.5 million unique visitors. Earlier this year, Facebook rolled out a new feature on its social network which allows users to stream live video. The significance of this should not be overlooked. Technology has evolved to a point in which anyone can produce live content and broadcast it to the world. With this new capability, Facebook has signed contracts with over 100 media companies and celebrities to deliver content for their live-streaming service. It will not be long before tech giants like Google and Amazon follow Facebook and Twitter’s lead with live content, and cash into the business and customer experience benefits that content partnerships present – especially when it comes to live streaming. The power of personalisation will separate the exceptional customer experience from the average in 2017. Beyond just mobile, being everywhere consumers are at and providing them with a personalised customer experience will be critical. Consumers already expect service providers to make recommendations for new content and services, but personalisation will evolve to include recommendations based on device, content, viewing preferences, location, demographic and behavioral data. Consumers will also have the flexibility to build their own, personalised, content packages – a custom mix of streamed, live and on-demand content rather than choosing from pre-existing bundles of channels or services. In Singapore, this is fast becoming a reality with the new business model adopted by Circles.Life. Partnering with M1 for its infrastructure, the virtual telco offers its services digitally. Its mobile application, CirclesCare provides consumers a personalised dashboard for them to tweak their plans accordingly. Additionally, the platform monitors a customer’s usage and offers suggestions on the type of services one requires. Coupled with a focus on 5G services, data will continue to be translated into new opportunities for service providers. By taking advantage of the consumer demand for data services, providers will continue to create more sophisticated app experiences and target consumers more effectively, For instance, service providers can leverage on geolocation data to offer promotions and services according to their needs. Service providers will bring customer experiences to where they are, whether it be at a physical kiosk, online support page, mobile app or retail front store. By tailoring the service experience and embracing B2B2X business models enabled by IoT, these trends will shape the communications services landscape this year.